Let’s begin with a bit of my philosophy on leadership. I believe that leadership is a privilege and not a right; I believe that no position or title in the world can make you a leader, only leading can make you a leader. I believe that if you accept the challenge of leading that you accept with it the enormous responsibility to make a difference in the lives of others. I believe that you manage a business but that you must lead people and I believe to lead people you must have influence with them, hopefully in a positive way. I am also quite certain that one of the biggest challenges facing business today is people placed in a leadership position that have no ability to lead. It happens all the time, the best salesperson, the best marketing manager, the best accountant, are taken out of their position and made the “boss.” Simply because they were the best at what they did doesn’t mean they’re going to be the best at what you’re about to ask them to do, it doesn’t even mean they’re going to be good at it. Businesses struggle when they accept managing where leadership is required. 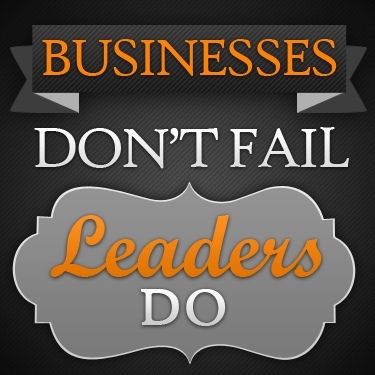 Businesses struggle when they fail to understand there’s a difference between managing and leading. It’s a common mistake that businesses make but I don’t place the responsibility on the business to fix it, I place the responsibility on the person in the leadership position. If you’ve earned your way into a leadership position, don’t assume you’re a leader because of it. Find yourself a mentor, a coach, a confidant, someone with the courage to tell you the truth, to tell you what must change in order for you to become an authentic leader. Someone that can help you grow into the leader your people and your company need. As you grow in your leadership role you’ll see your people grow along with you. That’s the true measure of effective leadership, helping other people grow. Leaders build other leaders, leaders help people be all they can be. So…. will you Lead Today? The difference between managing and leading isn’t something I think I even really took time to examine until now. You make a good point here and one other business oweners should also consider! Thanks Stephanie, of course the best businesses have people that are both leaders AND managers but I think we need to understand they are not the same or we kind of “settle” for one or the other when both are badly needed. Thanks Steve, thought a little more “in-depth” leadership, thoughts might be useful. Feel free to pass along to any chapters you think would benefit. Thanks Mark, I’m looking forward to a new adventure! Great observations, Steve. Always love your pearls of wisdom and humor! Looking forward to more of these blog posts. Off to a wonderful start, Steve! I especially love the last 2 paragraphs; finding people with the courage to tell the truth in order to grow as an authentic leader. Helping others grow. That’s what it’s all about. In regards to coaching, it takes a special leader to begin having coaching conversations. Most associate the word “coach” with a negative connotation. It’s one of the most misunderstood words. Steve you are soooo right about that. The “best” always have a coach yet those who strive to be the best believe the “need” for a coach is a sign of weakness. The willingness to accept coaching is a key characteristic of an authentic leader.